The main aim of this paper is to investigate the Common Mode Voltage (CMV) and Total Harmonic Distortion (THD) in five level Diode Clamped Inverter using Carrier based SPWM techniques. The common mode voltage exists between neutral point of star connected load and system ground. Various Carrier based SPWM techniques used to analyze CMV and THDin this paper are Phase Disposition (PD) strategy, Phase Opposition Disposition (POD) strategy, Alternative Phase Opposition Disposition (APOD) strategy, Carrier Overlap Phase Disposition (COPD) Strategy, Carrier Overlap Phase Opposition Disposition (COPOD) strategy and Carrier Overlap Alternative Phase Opposition Disposition (COAPOD) strategy.RL load is connected to inverter circuit for analysis purpose and Simulation is performed using MATLAB/Simulink Software. In general, any good road construction requires large quantities of construction materials from natural resources. Continuously utilization of natural resources particularly the stone aggregates creates future shortfall and environmental imbalances. In view of utilization of reclaimed asphalt pavement (RAP) for recycling of bituminous pavements has got significance now. With the above serious concern, the present study has been carried to use of recycled bituminous pavement (RAP) with new aggregates collected from quarry materials and mixed with bitumen (VG-30) grade. The prepared several combinations of trail mixes of Dense Bituminous Macadam (DBM) mixture sample were then tested conducted as per MORTH (2013) specification. It has been observed that mix combination of 40% of RAP with 60% of new aggregates is within the specified limits of MORTH (2013) Specifications1. Hence it is found that RAP can be used in place of new formation of roads in Urban & Rural roads. This paper presents to find the Optimal Solution of Fuzzy Linear Programming problems with inequality constraints by representing all the parameters as fuzzy numbers. By using the proposed method the fuzzy Optimal Solution of Linear Programming problems, occurring in real life situation, can be easily obtained. Fuzzy Linear Programming problems, Fuzzy Optimal Solution, Fuzzy numbers, membership function, ranking function. As business environment is changed and become complex, a more efficient and effective process management is needed. More and more enterprises and organizations are recently trying to build flexible and integrated information systems with web services in order to satisfy the changing needs of the customers. The web service can currently recognized as a new alternative for integrating the scattered information assets within an enterprise or an organization. Due to the increasing number of web service applications and the service suppliers, however customers were confronted with the problem of selecting the most suitable web service. In this chapter the new methodology for marshaling the composite web service satisfying web service Quality of service (QoS) goals are suggested. This provides theoretical basis from which a goal programming model is identified by which web service QoS can be quantified. Ni-Cr nano ferrites, Citrate-Gel auto combustion method, XRD, FTIR, magnetic properties. Co-precipitation technique, DC conductivity, Variable range hopping (VRH). A series of (4Z)-4-(Arylidene)-2-(2-Hydroxyphenyl)oxazol-5(4H)-ones were synthesized by condensation of substituted hippuric acid with different aromatic aldehydes in the presence of fused sodium acetate, acetic anhydride in catalytic amount, ethanol as solvent under reflux conditions.All the synthesized compounds were confirmed and characterized by using various spectral techniques like IR, H1NMR, C13NMR, and mass spectral studies. All the synthesized oxazolone derivatives displayed moderate to potent antibacterial activity. Oxazolones, Azlactones, Antibacterial Activity, Antifungal Activity Studies. Zn1-xPbxS semiconductor; co-precipitation technique; XRD; SEM; EDAX; Bulk density and Grain size. Magnetic hyperfine interactions, magnetic hyperfine field, effective magnetic hyperfine field, Mossbauer spectroscopy, reduced magnetic hyperfine field, reduced temperature. The fourth order boundary value problems arise in the mathematical modeling such as visco-elastic and inelastic flow problems, bending of beams and plates deflection theory , beam element theory and many applications of engineering and applied sciences. Computing such type of boundary value problems analytically is possible only in rare cases. Many researchers worked for the computational solutions of fourth order boundary value problems. In the present work, we attempted to present a simple finite element method which involves Galerkin approach with quintic B-splines as basis functions to solve a fourth order boundary value problem with suitable boundary conditions. Two point boundary value problem, Basis functions, Quintic B-Splines, Galerkian method. The study of migration or the fate of the contaminant miscible in ground water from waste site, dumping yards or landfills is essential for preparation of ground water contamination models. Numerical methods are generally adopted to measure the key parameters at a small scale as it is time consuming and costly to determine them in the field and used for quantifying flow and transport in large scales in in-situ conditions applied to simulate real contaminant transport models. These methods need a number of key parameters such as porosity, hydrodynamic dispersion, velocity of contaminant flow and Temperatures. The main aim of this research is to evaluate the nonlinear variation of the Distribution coefficient with parameters like porosity, power factor and bulk density based on detailed experimentation carried out on physical models in the laboratory and development of a suitable and appropriate numerical model. The batch and column tests were conducted to evaluate the distribution coefficient and sorption capacity. Contamination, Distribution Coefficient, Dispersion Coefficient. Traffic congestion is becoming a serious problem in Hyderabad like any other city in India. Therefore, there is pressing and growing need to measure congestion levels in a consistent manner and it is needed to improve the road facilities in order to connect different areas with no loss of time. A multi-disciplinary approach is needed in understanding the problem and providing solutions. Hyderabad is the fifth largest city of India with a total extent of 1868 sq.km. A huge amount of traffic moves daily and in order to divert the highway traffic bypassing through the city and to reduce the travel time and to connect all the places around the city without connecting to inner ring road, an outer ring road is essential. The backbone of any successful traffic management system for a metropolis is reliable, accurate and real time data. Traffic flowing, travel time and traffic increments are the three most important factors considered in TMS for analysing and predicting the traffic and controlling congestions. It is observed that major congestion problems are caused due to poor network of roads. This study presents manual counting of traffic flowing on ORR as well as at underpasses and the traffic is predicted for future years. The main aim of our project is to de-congest metropolitan area and inner ring road and to meet future demand. A comparative statistical analysis was performed on traffic predictions. Information about ITS is specified which helps in decongestion of traffic on ORR due to increased vehicular traffic. Moreover, our study conveys the importance of transportation engineering in our day to day life. Traffic Analysis, Travel Time, Traffic Prediction and Intelligent Transport System. Drought stress is considered as one of the most adverse abiotic stresses which is a threat to majority of the plant growth and productivity. Therefore, the aim of the present study was to identify the drought tolerant genotype/s of Cluster bean (Cyamopsis tetragonoloba L.Taub.) for the semi-arid regions. Abiotic stresses have considerable influence on biomass and seed yield parameters of crop plants. A field experiment was conducted to evaluate the moisture deficit stress on biomass and seed yield parameters of three cluster bean genotypes RGC-1025, RGC-936 and HGS-563 during winter season 2014. The stress was imposed during the initiation of flowering stage and the observations were recorded at the time of harvest for growth, biomass and seed yield parameters. All the selected genotypes recorded reduction under stress condition as compared with well watered condition for morphological, biomass and seed yield traits, however the magnitude of reduction varied with genotype. Among the three genotypes, the total biomass at harvest was highest with HGS-563 while with RGC-936 under stress. The seed yield was highest with RGC-936 under both moisture levels while HGS-563 recorded lowest seed yield as well as highest reduction with stress. Among all the three genotypes assessed, the genotype RGC-936 performed best in both moisture levels for biomass and seed yield parameters. The objective of this research work was to produce a carbon dioxide emission free cementitious material. The geopolymer concrete is such a vital and promising one. In this present study the cement is replaced by GGBS(Ground Granulated Blast Furnace Slag) and Fly Ash .The Alkaline liquids used in this study for the polymerization process are the solutions of sodium hydroxide (NaOH) and sodium silicate (Na2SiO3). A 10 Molarity solution was taken to prepare the mix. The cube compressive strength was calculated for 10 M solution for different mix Id i.e. G10F90, G20F80, G30F70, and G40F60 (Where F and G are, respectively, Fly Ash and GGBS and the numerical value indicates the percentage of replacement of cement by fly ash and GGBS). The cube specimens are taken of size 150 mm x 150 mm x 150 mm. Ambient curing of concrete at a temperature of 35-400c was adopted. In total 6 cubes and 3 beams were cast for different mix Id and the cube and beam specimens are tested for their compressive strength at age of 7 days, 14 day and 28 days respectively. The result shows that geopolymer concrete gains strength with increase in the GGBS content without water curing at ambient temperature. Also the strength of Geopolymer concrete was increased with increase in period of curing. By using GBFS which is a by-product of steel industry as a fine aggregate, we can save the natural resources and environment. The GBFS provides durability and better engineering properties and the elliptical shape which helps in enhanced thermal properties. The experiment helps in find out the economical and technical features of the product by conducting different tests like economical mix proportions, compressive strength, to meet the standards and to develop eco-friendly building block. Since, it is designated as Green Building Material it would help to get GRIHA (Green Rating for Integrated Habitat Assessment) as well as the LEED (Leadership in Energy and Environmental Design) certification. Systematic laboratory tests were carried out with different proportions of cement, river sand and slag sand to compare the quality, durability and technical feasibility. Concrete Bricks, Ordinary Portland Cement (OPC), Ground Granulated Blast furnace Slag (GGBS), Granulated Blast furnace Slag (GBS). The rate of montmorillonite is more in black cotton soil which causes expansiveness and crack occurs in soil without any warning which is dangerous for construction. Such expansive soils are very susceptible to detrimental volume changes with changes in moisture content. Expensive soils because of their speci?c physical & chemical make are subjected to volume changes. In this study nano chemicals terrasil and zycobond used for soil stabilization. In this investigation Cement is used in the constant proportion of 3% of amount of soil and the nano chemicals terrasil and zycobond are used are 0.6kg/m3, 0.8kg/m3, 1kg/m3, 1.2kg/m3 of each. uncon?ned compressive strength test is performed after the curing period of 7days, 21days,28days.Free swell index test is performed for the proportions of 0.6kg/m3,0.8kg/m3,1kg/m3,1.2kg/m3of terrasil and zycobond. Terrasil, Zycobond, Soil Stabilization, Strength, Black cotton soil. India has an enormous growth in steel industry and Slag is a byproduct of the same which has to be disposed properly. Steel industry generate large quantities of Slags from their iron-making and steel-making processes. Iron making Slags are recycled in cement making and steel-making Slags are dumped because they are unsuitable for the cement industry owing to the high iron content and other impurities. Reuse of waste in integrated steel plants is important with regard to environmental and economic consideration. LD Slag is a byproduct of the iron ore and steel making industry. It is produced in large quantities and poses a substantial disposal problem. The letters LD means Linz and Donawitz, towns in Austria where the process was invented. The generation of LD Slag in Indian steel plants is about 200 kg per ton of hot metal produced. Out of this only 25% is being reutilized in India compared to 70-100% in other countries. The objective of the present study is to study the possibility of using LD Slag as partial replacement of coarse aggregate and to compare the properties of the proposed concrete with that of existing conventional concrete. An experimental investigation was carried out to evaluate the effect of replacing coarse aggregate by LD Slag on flexural strength and compressive strength of concrete. Coarse aggregate was replaced with three percentages (1%, 2% and 3%) of LD Slag by volume in M25 grade of concrete with 0.5 water cement ratio (w/c). Developing an accurate finite element model of an ankle joint is a challenging task and time consuming. The objective of this paper is to model, simulate and analyze the effects of loading on the viscoelastic behavior of human articular cartilage at the ankle joint. Dataset of a healthy male volunteer is to taken to reconstruct a detailed three-dimensional model of an ankle joint. The bone models are segmented into two types of bones - cortical and cancellous according to the Hounsfield unit. The ankle model consists of tibia, fibula, talus, calcaneus, cuboid, navicular bones cartilage. The cartilages were constructed using prony series viscoelastic properties. . The ankle joint is modeled in CATIA V5 and Analysis is performed in ANSYS 16.1 Workbench. Two kind of Analysis, Static and Transient Analysis were conducted on the cartilage and its replacement materials like Poly Vinyl Alcohol (PVA) and Polyethylene glycol (PEG) and Von-Mises Stresses and deformations along Z axis are tabulated for different forces. From the simulation results one can conclude that PVA and PEG can replace the cartilage for the said conditions. Neural networks, face recognition, fuzzy system, Neuro-fuzzy. Several technical challenges exist with casting technology yet it can be used to overcome this problem. Achieving a uniform distribution of reinforcement within the matrix is one such challenge, which affects directly on the properties and quality of composite material .In the present study a modest attempt would be made to develop Aluminium based silicon carbide particulate MMCs with an objective to develop a conventional low cost method of producing MMCs and to obtain homogenous dispersion of ceramic material. To achieve these objectives two step-mixing method of stir casting technique has been proposed and subsequent property analysis has been made. Aluminium (98.41%) and SiC (320-grit) has been chosen as matrix and reinforcement material respectively. Aluminum alloys are widely used in aerospace and automobile industries due to their low density and good mechanical properties, better corrosion resistance and wear, low thermal coefficient of expansion as compared to conventional metals and alloys. The excellent mechanical properties of these materials and relatively low production cost make them a very attractive candidate for a variety of applications both from scientific and technological viewpoints. The aim involved in designing aluminum based metal matrix composite materials is to combine the desirable attributes of metals and Ceramics. The availability of a system, machine or equipment for production or service is the key parameter to improve the productivity of any organization. The failures cannot be avoided completely but can be reduced through proper maintenance programme which can be developed if one can predict the occurrence and mode of failure in advance. Hence, it is the responsibility of managers to keep track of their machines or equipment and make available for maximum run hours with minimum failures. This will also help them in improving the reliability of the machines/equipment. This study is taken up to identify the failure and run modes of TSRTC buses to improve the availability and the customer satisfaction. The data regarding the bus failures and run hours for the period of 32 months has been collected and trend is analysed using graphical methods and also tested for presence of correlation. Drying is veryimportant process in the manufacture of POP (Plaster of Paris) Sheets which are usedfor false ceilings in households.Efficient drying of POP sheets gives proper finishing and consumes less time. Generally these POP sheets are dried in open atmospheric condition which takes long time to dry. The main aim of this project is to design, fabricate and test the solar dryer to reduce the drying time of the POP sheets.The project work is carried out based on the requirement of a small scale industry located at Piduguralla, Guntur district, A.P. which manufactures POP sheets. The design of a solar dryer consists of absorber plate made of GI sheet and reflector plate made of Steel sheet which is placed at the backside of the dryer.The test results gave temperature about 45OC by modifying the experimental steps. The experiment conducted to remove the moisture by keeping the sheets inside the dryer. The test results have shown that the moisture removed was more than 50% when they are kept in the dryer compared with the drying in open atmosphere. The test results were compared by modifying the experimental setup by replacing steel sheet with clear polyvinyl sheet, to decrease the cost of solar dryer. The moisture removed from POP sheets with this setup is almost same as that of POP sheets dried in open atmosphere. Hence it is suggested to use a solar dryer with steel reflector at the backside. The present work shows, to anticipate the work piece displacement in face turning under dry machining condition. Present work, concentrates on the improvement in machinability during vibration assisted turning of the AISI 4140 steel has been investigated using FFT analyzer. The effect of work piece displacement due to vibration on the tool wear is examined. The axial vibration amplitudes in feed direction obviously increase with increasing the feed rate. Predicted load in Y- direction for all test conditions is observed. The correlation between tool wear and displacement due to vibration analysis is done. Carbon Nanotubes, Composite material, Charecterization of materials. Alumina and zirconia toughened alumina powder were characterized for the properties such as phase purity, particle size and surface area. Both formulations were uni-axially pressed in a compaction die and pressure less sintered at 1550oC to achieve close to theoretical density. For the sake of comparison, the formulations were also vacuum encapsulated and Hot Isostatically Pressed into identical density values at 1350oC and 150MPa pressure. Specimens processed by both techniques were evaluated for the microstructure and fractographs are recorded. Based on microscopic studies the possible mechanisms for the evolution of microstructural features is proposed in the present study. Results will be presented during the conference. Semisolid metal processing or Thixoforming is a developing technology where the material is processed in the freezing range. Thixoforming process results in components with better mechanical properties as compared to conventional processes. The material at this temperature is very soft and as a result lower loads may be applied to obtain the final shape of the component. Process parameters like ram speed, temperature of the billet and die temperature influence the mechanical properties like tensile strength, hardness and wear behavior of thixoformed component. In the present study an attempt is made to understand the effect of process parameters on the mechanical properties of aluminum alloy by carrying out experimental studies. The results indicate the significant influence of billet temperature and die temperature on the tensile strength and hardness of the material. Thixoforming, A356, Mechanical Properties, experimental study. In the present work, by using Taguchi Robust Design methodology the End milling of EN-19 steel alloy is carried out in order to minimize the Cutting temperature and to optimize the milling process parameters. The selected milling process parameters are Cutting Speed, Feed rate, Depth of cut and coolant flow. Taguchi orthogonal array is designed with three levels, four factors and nine experiments using L9 (34) orthogonal array. The nine experiments are performed and cutting temperature is measured. Results obtained by Taguchi Method, shows that the factors affecting the cutting temperature using ANOVA, are found to be significant factors and it is concluded that the effect coolant flow is more followed by depth of cut, feed and cutting speed for cutting temperature.It is found that S/N ratio value of verification test is within the limits of the predicted value and the objective of the work is full filled. Taguchi Robust Design methodology, Milling Process, EN-19 steel alloyl,Signal to Noise Ratioetc. Turning operation is one of the primary machining operations wherein enhanced machining performance is obtained by selection of suitable process parameters. High Strength Low Alloy (HSLA) medium carbon steels (EN24 steel) are considered to possess better mechanical properties than carbon steel. In this experimental study, the effects of machining parameters on functional attributes (surface roughness, corrosion rate, current density, wear rate and co-efficient of friction) of the machined samples are evaluated in turning of EN24 steel. The machining parameters selected are cutting speed, feed rate and depth of cut in order to enhance functional attributes of turned components. The result of the investigation revealed that the mentioned machining parameters are necessary and essential to evaluate the functional attributes of HSLA steel effectively. Turning, machining parameters, functional attributes, ANOVA. Biodiesel (mono alkyl esters) is a cleaner-burning diesel fuel produced using natural, renewable sources, for example, vegetable oils. The utilization of biodiesel in an ordinary diesel engine outcomes in a large reduction of unburned hydrocarbons, carbon monoxide, and other matter harmful to nature. biodiesel works well with new technologies and catalysts, which reduces the soluble fraction of diesel particulate but not the solid carbon fraction, particulate traps, and exhaust gas recirculation leading to longer engine life. As the fossil fuels are depleting constantly, a need has arrived to produce biodiesel from various feedstocks.An attempt has been made to produce biodiesel from Kusum (Carthamus tinctorius L.) oil and the process parameters namely the methanol-to-oil molar ratio, catalyst concentration, reaction time and reaction temperature for biodiesel production were optimized. Taguchi robust design process was used by taking L9 orthogonal array and analysed the performance parameters that influence the production process. The results showed that the optimum yield of biodiesel was 93.8% with viscosity 5.60 cSt, with a methanol-to-oil molar ratio of 4:1, catalyst concentration of 1.5 wt%, reaction time of 90 min and reaction temperature of 600C. The catalyst concentration was found to be the most influencing parameter which contributed 51.1% and 50.8% of the total effect on the yield of biodiesel, Y1, and viscosity of biodiesel, Y2, respectively. Regression equation was arrived by using ANOVA technique. The multi parameter output such as Yield and viscosity at 400C were optimized using Principle Component Analysis. Biodeisel, process parameters, Taguchi PCA method, Kusum oil. Computational Fluid Dynamics (CFD), combustion, turmeric fuel, diesel fuel. In the present study effect of shielding gases in welding process which results in weld bead characteristics of metal was studied. The welding was carried out by using the GTAW(Gas Tungsten Arc Welding)/TIG (Tungsten Inert Gas) process. GTAW is very commonly used in the areas such as rail, car manufacturing, automotive and chemical industries. The materialInconel718 is a nickel-based super alloy generally used at elevated temperature applications including turbine engines and power generation because of its superior mechanical properties. In the present experimentation, An attempt was made to study the weld characteristics of Inconel718alloy weld samples with different shielding gases of Argon and Argon-hydrogen gas. The comprehensive body of knowledge that has built up with respect to the friction stir welding (FSW) of aluminum alloys since the technique was invented in 1991 is reviewed on this paper. Methods/Analysis: The Friction Stir Welding of aluminum alloys with various other alloys and aluminium matrix composites are reviewed on this paper. The basic principles of FSW are described, followed by process parameters study which affects the weld strength. Findings: The microstructure and the likelihood of defects also reviewed. Tensile strength properties attained with different process parameters are discussed. Conclusion: It is demonstrated that FSW of aluminum and other material is becoming an emerging technology with numerous commercial applications. This paper provides the information regarding the field of severe plastic deformation (SPD), which is an evolving technology in metallurgical sciences in these days. It discusses the severe plastic deformation and the mechanism involved in it. Further, it describes the methods of SPD, its advantages and limitations as well as applications. This Paper deals with the conversion of Plastic Wastes into alternative fuels. Waste Plastic from municipal solid waste were collected and were sorted based on their types like PET bottles, Polypropylene, Polystyrene, HDPE and LDPE. These Plastic wastes are graded and shredded and then heated in a closed chamber (Similar to a process called Pyrolysis) to attain temperatures up to 150-2000C. The Plastic waste is melted and gases produced at this temperature are condensed to liquid state. Both, Condensed and Uncondensed gases can be used as fuel to engines. The Fuel produced is tested for Viscosity and Calorific Value, and is compared with Gasoline and Diesel Fuel and the results Obtained are tabulated. In this paper, analysis is carried on extended surfaces, which are commonly used to enhance convection heat transfer in a wide range of engineering applications. The conception of introducing perforations on the lateral surface of fin is to enhance heat transfer rate effectively. This analysis helps in deciding the optimal geometry and configuration of perforations on the surface of the fin. Finely perforated aluminum (k=210W/mK), copper (k=410W/mK) fins are selected for investigation because both has higher thermal conductivities and are predominantly used in heat transfer applications. : A colloidal mixture of Nano fluid particles in a base fluid is called Nano fluid which is a new generation of Heat transfer fluid for various heat transfer applications. This paper analyses and summarizes the various factors affecting Nano-fluid thermal performance such as particle size, fluid type, temperature, volume concentration, PH, particle shape and the latest developments regarding the mechanisms that influences the enhancement of Heat transfer by using Nano fluids. In this paper, isolated Diesel generator set is integrated with static synchronous compensator (DSTATCOM) for harmonics elimination, reactive power compensation and injection of active power. The control of scheme of DSTATCOM is derived from instantaneous reactive power theory. The dc bus voltage is regulated to constant value with proportional integral (PI) controller of DSTATCOM. The controlling pulses DSTATCOM is carried out with hysteresis controller. The overall system consisting of DG set, DSTATCOM and nonlinear load simulation is carried out with MATLAB environment using Simulink and power system block-set toolboxes. The MATLAB modeling is performed for a synchronous generator coupled to a diesel engine, along with the three-leg VSC working as a PV-DSTATCOM. The simulated responses of PV-DSTATCOM with DG set are presented to verify the effectiveness of the control of PV-DSTATCOM for the compensation harmonics, reactive power and active injection without separate DSTATCOM. The five level inverter is most widely used inverter in medium and high voltage applications, since it has many advantages and easy to develop when compared to higher level(7 or 9) inverters. There are several modulation techniques and most popular among them is Sinusoidal Pulse Width Modulation.(SPWM). There are different Sinusoidal Pulse width Modulation techniques such as In Phase Disposition(IPD), Anti Phase Disposition(APD), Phase Opposition Disposition(POD), Phase shift(PS), Anti-Phase Shift(APS), Variable Frequency(VF), Anti-Variable Frequency(AVF) and Carrier Overlap(CO)The THD of different Sinusoidal Pulse width Modulation techniques are found as carrier frequency is varied and compared . five level inverter, modulation technique, pulse width modulation, phase disposition, phase shift, variable frequency. Three phase Induction motors especially multiphase motor drives has proved to be much efficient for high power drives application such as Electric vehicles/Hybrid Electric vehicles. In this paper a simulated Electric Vehicle (EV) with four-wheel-drive with Electronic Differential System (EDS) is presented. The Electric Vehicle (EV) is controlled with five phase induction motor and the EDS distributes torque and power to each in-wheel motor according to the requirements, adapts the speed of motor to the driving conditions and simulates the behavior of a differential. The working conditions including the condition of the vehicle with the constant speed, accelerating and decelerating are studied , and the control strategy of the EDS for the vehicle with four in-wheel motors is designed and simulated. The simulation with Matlab/Simulink is made and the results are verified with the rationality of the EDS controller, and proved that the system has more favorable dynamic performance. Teachers learning based optimization (TLBO),Valve-point loading effects,non-convex optimization. This paper presents an efficient approach to estimate the thermal power plant fuel cost parameter which are usually modeled as a polynomial of desired order. The accuracy of parameters of fuel cost is in turn influences the economic load dispatch (ELD) where cost function of fuel is to be minimized. The fuel cost polynomial parameters in this paper are obtained first by popularly used and industry adopted Least square estimation method. Upon observing the local optimality of error by LSE this paper proposes a simple geometry based, non-stochastic and derivative free optimization, known as Nelder-Mead (NM) to further reduce the absolute error by LSE. This approach LSE-NM is tested on different fuel costs such as coal, oil and gas for obtaining parameters of polynomial which results in global minimum error between practical data points and mathematical model. The global optimality for situation considered is confirmed upon comparison with global optimizers such as Particle swarm optimization(PSO) and Ant Bee colony(ABC). The prime requirements of reliability of estimated parameters and time of computation along with global optimality is possible by LSE-NM for ELD parameter estimation. In this paper a new Quasi-Z-Source Modified Cascaded Multilevel Inverter with Half-Bridge Cell is presented and proved to be advantageous over conventional Cascaded Multilevel Inverter with voltage boost ability and reduced switches. The proposed topology is comprised of cascaded auxiliary units and a full H-bridge inverter, where the auxiliary unit includes half bridge cell with quasi Z Source network. With quasi Z Source network shoot-through state control, the output voltage amplitude can be boosted, which is not limited to DC source voltage summation similar to conventional cascaded Multilevel Inverter. The performance parameters of quasi Z Source Modified Cascaded Multilevel Inverter with various multicarrier PWM control methods are analyzed with simulation results and portrayed here. Power flow computation of a distribution system is very important for the system operation, reconfiguration and for placing the FACTS devices. This paper presents a development of distribution Power System of Radial Distribution Network with laterals Load Flow Analysis tool based on the Tellegen theorem based method by using a User Friendly Graphical User Interface (GUI) Matlab Program. This tool introduces a simple interface for the user to perform load flow analysis. It is also designed for a user to view power flow results for each iteration and thus will facilitate especially undergraduate electrical students to verify their manual calculation of load flow solution. 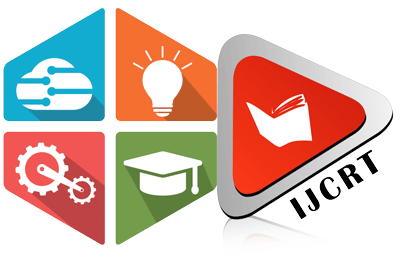 By just point and click, the students will easily get the required solution. The load flow tool is evaluated by solving the load flow of several test systems and the GUI tool gives the complete Voltage Profile and Power Losses in the system.The well proved Tellegen theorem is used to obtain the load flow solution of Radial Distribution Network. 12.6KV Distribution system for 12, 28, 33 and 69 bus system..The result shows that all the answers displayed in GUI for every required calculation steps for Tellegen theorem based load flow are successfully verified with the manual calculation Thus, this tool helps student and lecturer to learn and verify their manual calculation and at the same time reduce their calculation time. GUI(Graphical User Interface) tool ; Radial Distribution Network; Tellegen theorem. Mobile Ad hoc Network is a collection of wireless mobile devices with restricted broadcast range and resources. Communication is achieved by relaying data along appropriate routes that are dynamically discovered and maintained through collaboration between nodes. Discovery of such routes is a major task, both from efficiency and security point of view. Due to MANET characteristics security is a key issue in ad hoc networks In this paper, we proposed a method SDE (Secure Dynamic Encryption) based on asymmetric key and dynamic encryption for the OLSR protocol. SDE-OLSR aims to enhance the security against all kinds of attacks without having impact on the performance of the network. This proposed SDE_OLSR is compared with OLSR protocol in different modes such as normal mode, attack mode to evaluate the efficiency of SDE-OLSR in MANET. This empirical results shows the increase of packet delivery rate (PDR) is by 23 % and reduction in delay by 27 %. MANET is a set of ad-hoc wireless devices with limited broadcast orbit and resources. Communication is accomplished by relaying data along suitable routes that are dynamically determined and preserved through collaboration between the nodes. Find of such routes is a principal task, both from efficiency and security point of aspects. This paper presents an efficient and secure routing, based on asymmetric authentication using Approach of Reciprocity Key (AKR). The proposed mechanism ensures secure routing by also taking the Quality of Service (QoS) in MANETs and minimizes the network overhead. The AKR performance can be efficaciously used to create a new routing protocol for Mobile Adhoc Networks which will provide maximum security against all kinds of attacks. In this paper, AKR is compared with other secure routing protocols like TWOACK, and AODV, to evaluate the efficiency of AKR in Ad Hoc Networks. The empirical results show that there is an increase of 22% packet delivery ratio and a decrease of 9% routing overhead. RMS Titanic sinking is one of the most infamous shipwrecks in history. During its maiden voyage, the Titanic sank after colliding with an iceberg, killed many passengers including crew. This sensational tragedy shocked the international community and led to better safety regulations for ships. One of the reasons that the shipwreck led to such loss of life was that there were not enough lifeboats for the passengers and crew. Although there was some element of luck involved in surviving the sinking, some groups of people were more likely to survive than others, such as women, children, and the upper-class. In this paper we are going to make the predictive analysis of what sorts of people were likely to survive and using some tools in machine learning to predict which passengers survived the tragedy. A Mobile Adhoc Network (MANET) is featured by multi-hop wireless connectivity with topology change due to highly mobile stations with autonomous configuration ability. Therefore, it is very challenging to develop vibrant and resourceful routing Protocol for MANET which also performs excellent routing with security feasibility. 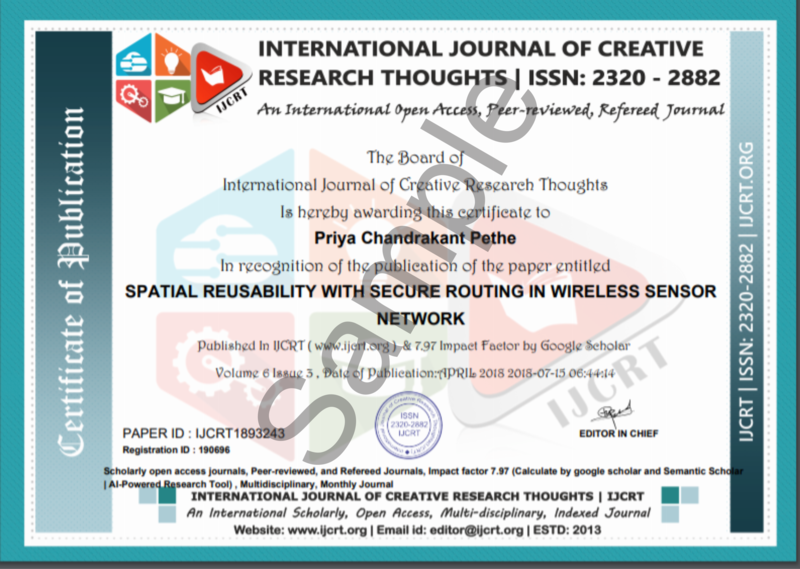 This paper presents a detailed study and analysis of various routing issues faced by protocols, and it also discusses the improved methods proposed by many researchers to solve these problems during routing up to some extent considering multiple parameters. This survey also offers a brief comparative analysis of prominent protocols which are proposed by eminent researchers considering the average delay and packet delivery ratio as network performance parameters. Color vision lack is the powerlessness to separate between the hues. It influences around 1 out of 12 men and 1 of every 200 ladies on the planet. In India around 7.5% individuals are influenced by color vision in adequacy. Deficiency of color keenness makes numerous issues for the partially blind individuals, from everyday activities to training. Color vision insufficiency, transcendently caused by inherited reasons, while, in some uncommon cases, is accepted to be gained by neurological wounds. A color vision lacking will pass up a major opportunity certain basic data show in the picture or video. However, with the guide of Image handling, numerous strategies have been produced that can alter the picture and subsequently making it appropriate for review by the individual experiencing CVD. This paper investigates a portion of the past research in this field and gives the best strategy for alteration of Images for the individuals who are experiencing Dichromacy. 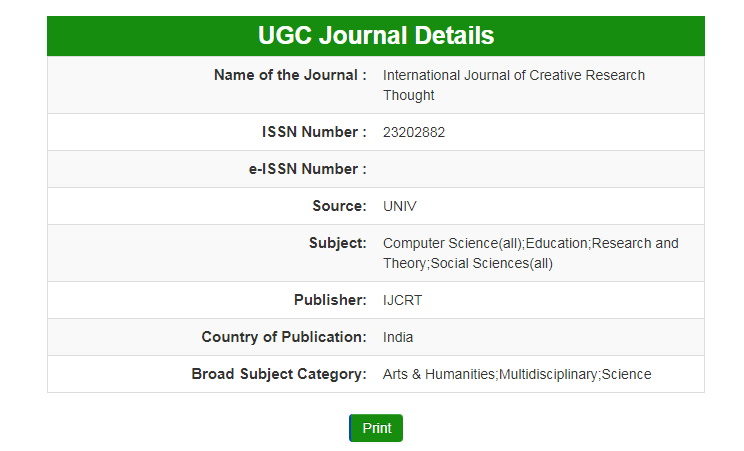 This paper incorporates three Algorithms LMS Daltonization, RGB color contrast upgrade and Lab color contrast and recommends an alternate system which works effectively than the past Algorithms. MANET is less resistant to malicious node more prone to selfish behavior of nodes and compromised nodes which are most often undetectable. Due to resource constraints and high mobility characteristics. In a clustered network one of the cluster member is chosen as a cluster head. But if the selected node becomes selfish or malicious, it will affect the performance of the entire group communication. This paper proposes a Trust Evaluation Algorithm (TEA) to identify the nodes with highest level of trust within the cluster. The nodes are added to the trust table based on the calculated trust level. The friends having highest trust level is eligible to become cluster heads. Among the available cluster heads, one among them is selected as the cluster head.other nodes are considered as a cluster members. The nodes with least trust values are regarded as malicious and are removed from the list and are stored in a noticeable unwanted record. Our TEA approach succeeds in achieving high resistance towards network attacks. In this paper how Particle Swarm Optimization Radial Basis Function Neural Network is used for solving pattern recognition issues is discussed. To improve the pattern recognition efficiency PSO technique is used to find the weights and bias values and k-means algorithm is used to find the centroid values of the radial basis function neural network. Finally proved that this method shows better accuracy than the traditional RBF model. The task of analyzing an interested text to find demographic characteristics such as gender, age, country and nativity language of an unknown author based on the writing style of the text called Author Profiling. The writing style differences are very important in Author Profiling research. Different researchers proposed several stylistic features to differentiate the writing style of the authors. In this work, the experimentation carried out with content based features like most frequent terms in the corpus to predict the nativity language of the authors. A Profile specific Document Weighted approach is used with most frequent terms as features. In this approach, the document weights are used to represent the document vectors. Various classification algorithms were used to generate the classification model and to predict the nativity language of the authors. The achieved results were good when compared with exiting techniques for nativity language prediction in Author Profiling research area. In this paper a hardware implementation of a neural network using Field Programmable Gate Arrays (FPGA) is presented. Digital system architecture is designed to realize a feed forward neural network. The feed forward network has 7 nodes and 3 layers, and this network achieving node parallelism and layer parallelism the designed architecture is described using Very High Speed Integrated Circuits Hardware Description Language (VHDL). After a brief review the implementation our simulation results have been presented. Combined attacks, Cryptanalysis, Message Digest Algorithms, Related Key Cryptanalysis. Sentiment Analysis, Opinion Mining, Product Reviews, Hadoop, MapReduce, Sentiwordnet. Face recognition is a form of biometric identification and off late it has become the most important method to recognize various people in a real time system. Recognition is a method to identify a person in a still image or in video. It became important due to its applications in many safety and security related areas such as at airports, banks for authentication. New research studies of recognition in this area in recent years is focused towards using neural network methods. Going forward in research in this area is application of Fuzzy system. In this comparative study the focus will be on neural networks, fuzzy system and neuro-Fuzzy system. - Neural networks, face recognition, fuzzy system, Neuro-fuzzy. The radiation characteristics of Rectangular Microstrip Patch Antenna (RMPA) placed over two dimensional Electromagnetic Band Gap (2D-EBG) ground plane is studied. The complete model is designed in numerical 3D-EM (electromagnetic) simulation software. The results obtained are compared with results of conventional RMPA over conducting ground. The dimensions of 2DEBG are considered such that it can operate within ISM band, and RMPA is made to operate within the ISM band gap. The first part of this paper contains characterization of surface properties of 2DEBG. The 2DEBG is resonating at 2.5GHz with a FBG (forbidden band gap) of 1.5GHz, in phase reflection band gap (AMC) of 41MHz and a high impedance of 3540 ohms. The high surface impedance property of helps achieve RMPA miniaturization. The property of in-phase reflection band helps to enhance the gain upto 3.5dB, when compared with the conventional arrangement. Due to surface wave band gap property, smoother radiation pattern, improvement in the radiation efficiency and an operating band width of 3% has been achieved. Glaucoma, Funds Image, CDR, Diabetic Retinopathy, Image processing, image subtraction. Internet of Things(IoT) is one of the affirmative platforms to implement a large data analytics task which comprises the way to exploits networking, detecting, huge information, and computerized reasoning innovation to convey finish frameworks for an item or administration. These frameworks permit more prominent straightforwardness, control, and execution when connected to any industry or fr.In this paper, we are going to discuss about loss due to atmospheric moisture beyond threshold results in infestation etc and hence damages the food grain. Those losses can be reduced effectively with support of various sensors to detecting the status of food grains stored in the Central Warehousing. Based on moisture and temperature data captured, the software should do appropriate data analytics and send timely alert to concern officials of CWC for mitigation and remedial actions arising due to moisture and temperature inside the warehouse. This paper emphasizes the usage of IoT which enables the Central warehouse centers to avoid the losses of food grains. Moister, Temperature, Sensors, IoT Technology. Potholes are a major obstacle for road transport which greatly affect the commute time and comfort. Detecting and locating the potholes ensures a better commute and helps in preventing any possible fatalities. The system would be installed on a vehicle and would perform the function of road surface monitoring, using the inherent mobility of the vehicle. The system would consist of a sensing unit, micro-controller unit and a GPS subsystem. The sensing unit consists of accelerometers, deployed at specific positions which would help them make use of the accelerations generated during the motion of the vehicle. The data generated from the accelerometers would indicate the presence of potholes or severe road surface anomalies. The micro-controller unit then collects the data, which is then processed utilizing the Machine Learning algorithms. This onerous task of data processing, leads to the distinguished possibilities of pothole detection or vibrations generated due to a severe lateral unevenness on the surface of the road. At the time of the detection, the GPS unit logs the co-ordinates of that location, which then can be represented on a map and shared through a mobile application, enabling the users to choose alternative ways depending on the conditions of the road in their respective routes of travel. Wireless Sensor Networks, GPS, Cloud Computing, Pothole Patrol. Powerful high-level languages to RTL generators are now emerging. One of the use of these tools is to allow software engineers to implement algorithms quickly in a familiar language and target the design to a programmable device. The generators available today support syntaxes with varying degrees of fidelity to the original language. This paper focuses on the efficient use of C to RTL generators that have a high degree of fidelity to the original C language. However, coding algorithms without regard for the capabilities of the target programmable logic can lead to low-performance realizations of the algorithm that are several times slower than what could be achieved with a DSP. This paper presents the architecture of a high-performance radix-2 FFT written in ANSI C that is similar in composition to the classic C implementation that is familiar to most engineers. First, methods to organize memory elements and arrays for maximum data accesses per clock cycle are discussed. Next, the exploitation of the natural parallelism of a radix-2 decimation in frequency algorithm is discussed. Finally, the performance improvement by hiding the first and last of the log2(n) butterfly stages is discussed. The resulting RTL outperforms hand optimized DSP assembly code by a factor of three while using less effective area than a DSP solution. Human iris is viewed as a dependable and exact methodology for biometric acknowledgment because of its one of a kind surface data. All known biometric frameworks are helpless against introduction assaults (usually called ridiculing) that endeavor to cover or imitate character. Image based biometric modalities (e.g. confront, finger, iris) are especially helpless at the image obtaining step. Cases of run of the mill iris parodying assaults are printed iris images, finished contact focal points, and engineered formation of iris images. It is basic to take note of that greater part of the calculations proposed in the writing are prepared to deal with a particular kind of parodying assault. These calculations as a rule perform exceptionally well on that specific assault. Notwithstanding, in genuine applications, an assailant may perform distinctive parodying assaults. In such a case, the issue turns out to be all the more difficult because of natural varieties in various assaults. In this paper, we concentrate on a mixture of iris mocking assaults and present a bound together structure for distinguishing such assaults. We propose a novel basic and textural include based iris mocking recognition structure (DESIST). Multi-arrange thick Zernike minutes are ascertained over the iris image which encode varieties in structure of the iris image. Neighborhood Binary Pattern with Variance (LBPV) is used for speaking to textural changes in a caricature iris image. The most noteworthy characterization precision is seen by the proposed structure for recognizing ordinary and parodied iris images on a joined iris caricaturing database. This paper proposes an advanced system for process management via a credit card sized single board computer called raspberry pi based multi parameter monitoring hardware system designed using RS232 and microcontroller that measures and controls various global parameters. Various kinds of sensors are utilized in order to control and monitor the various kinds of hazards that occur during industrial process. The system comprises of a single master and multiple slaves with wireless mode of communication and a raspberry pi system that can either operate on windows or Linux operating system. The parameters that can be tracked are current, voltage, temperature, light intensity and water level. The hardware design is done with the surface mount devices (SMD) on a double layer printed circuit board (PCB) to reduced the size and improve the power efficiency. The various interesting features are field device communication via USB-OTG enabled Android devices, on field firm ware update without any specific hardware and remote monitoring and control. Remote monitoring is also performed by connecting a web server to the raspberry kit and establishing a secure wireless connection to all the sensors used. With the updated security channels one can continuously track the process occurring in industries. Raspberry pi, wireless industrial automation, PCB, SMD, wireless channels, sensors. In recent years, mobile and wireless networks play a vital role .Heterogeneous wireless networks(HWN) communication is a combination of various heterogeneous networks. User fulfillment is significantly affected by the aspect such as terminal mobility, guaranteeing QOS continuous connectivity to access the world anywhere, anytime and any service has gained a significant weight. Seamless internetworking of heterogeneous network is still a stimulating assignment and requires interconnectivity at all layers of network architecture. In mobile communication, seamless vertical handover is one of the most challenging issues. The worst case may cause communication interruption, delays and packet losses which affect the real time communication performance. To resolve the problem, a marginal fast vertical handover Mobile IP (MIP) protocol using IEEE 802.21 Media Independent Handover (MIH) standard is proposed on heterogeneous WLAN/WiMAX networks. 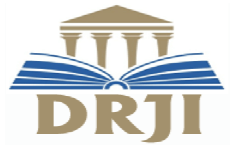 This paper will present a audio watermarking method which is highly secured and offers triple layer protection and has very large virtual capacity and large imperceptibility in which watermark/data i.e. an image can be encrypted and hidden by modifying the magnitude values in FFT spectrum. The main idea is to modify magnitude of FFT samples with respect to Fibonacci series .Here an image will be encrypted and is embedded into audio which improves the security of watermarking drastically. XOR sum of image bits and PN sequence is used as embedding bit stream and is chosen as it is fastest and simple in computation when compared to other encryption techniques. XOR sum creates a huge virtual increase in payload or capacity of the algorithm. This technique mathematically proves that maximum changes in FFT samples is less than 61% and the average error rate considering a single sample is 25% .This technique is not only robust and transparent but also highly secured. The additional feature is its ability to handle large capacity i.e. from experimentally its proved to handle 700bps to 3kpbs efficiently, moreover this technique is blind, i.e. original signal is not required near receiver. Audio watermarking, FFT, Image encryption, PN sequence, XOR sum. 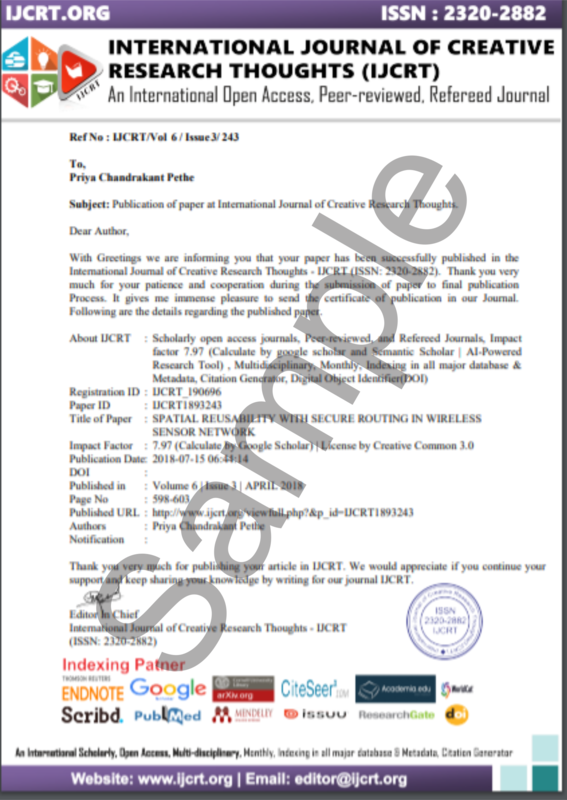 In this paper, a watermarking system is proposed by using SVD (Singular Value Decomposition) and DWT (Discrete Wavelet Transform). Along with additional methods in literature, SVD is used for various applications. In addition to usual hiding arrangements a random moniker is utilized to increase its heftiness in contradiction to unnecessary burglars. The unitary matrices are utilized to produce a moniker which is going to be embedded into the fourth level decomposition of shield image. After extraction, an image is checked with the Moniker embedded. If these Monikers are harmonized the unitary matrices will be used to excerpt watermark from the watermarked image. Diverse attacks are well-thought-out and the simulation outcomes show that the extraction of watermark after attacks had minor effect only. This paper presents the design of 3 element Yagi Uda antenna at 400MHz frequency for UHF (RFID) applications. The antenna has one active element(dipole antenna), one reflector(passive element ) and 3 directors (passive elements).Adjusting the spacing between elements 50% of improvement in impedance band width,0.6 dBi improvement in gain and directivity is achieved. The antenna design is simulated in CST microwave studio. Yagi- Uda,gain ,directivity,Band Width,reflector, dipole,director and CST studio. In this paper we present the design and simulation of co-axial fed microstrip antenna for C-Band (4-8 GHz) application with capacitive coupling technique. The antenna designed from antenna theory (calculation) for centre frequency 5.6 GHz and later optimized for broadband using HFSS software. Dielectric substrate FR-4 proxy having dielectric constant 4.4 is used. The proposed antenna exhibits a much higher impedance bandwidth 53% (S11<-10dB).